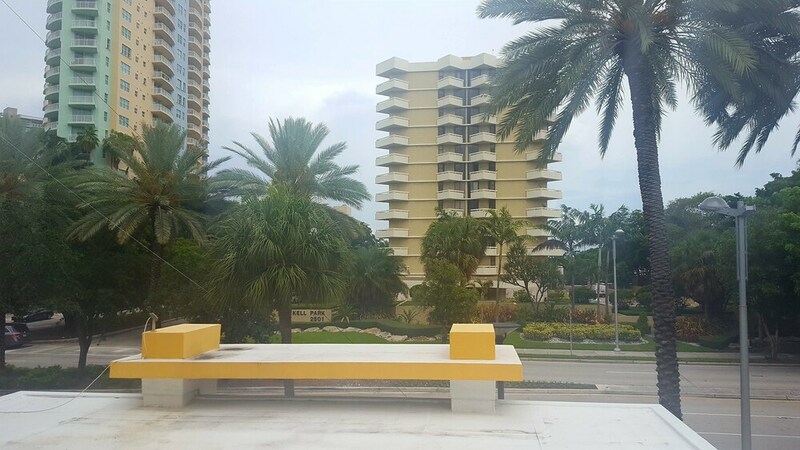 Your stay at this Brickell hotel places you within 2 miles (3 km) of Vizcaya Museum and Gardens and Brickell City Centre. 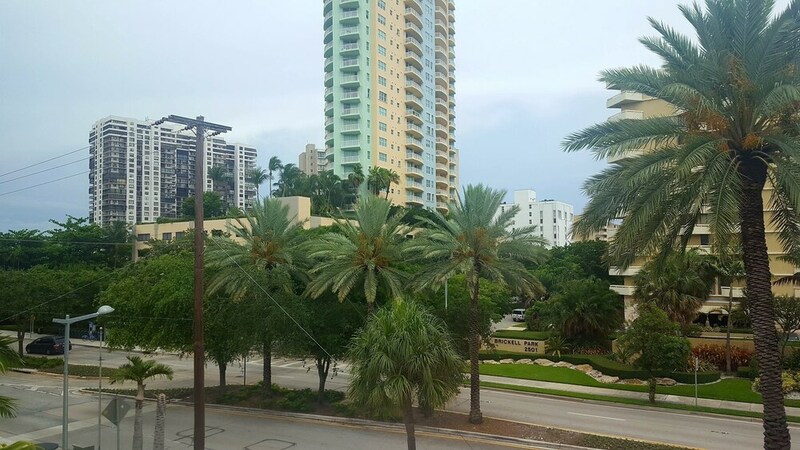 Downtown Miami Shopping District and James L. Knight Center are also within 2 miles (3 km). This hotel features an outdoor pool and a fitness center. Traveling on business? Take advantage of the business center, laundry service, and valet parking. WiFi in public areas, a computer station, and luggage storage are also on offer. Featuring conveniences like refrigerators and microwaves, the 129 guestrooms offer free WiFi and free wired Internet, as well as iPod docks. Other amenities include plasma TVs, premium bedding, and free newspapers. We're sorry you were unhappy - we'll work hard to fix the issue you experienced. Thanks for letting us know. The biggest downside is the showers,,,very weak. The place has been renovated, and still is. Everything is new and fresh and grey. The tub has been pulled and a shower stall inserted. In my room a modern wall width desk has been placed across from the foot of the bed making passage difficult into the room. I read the property is going to be a Garden Inn. It is not up to those standards as of now. The hotel is currently undergoing extensive renovations. The pool is closed. The continental breakfast is skimpy. However, the room was spacious and clean and the staff is friendly and professional. Once the renovations are done, it should be nice. But it should be avoided until then. Gave away our room, even though fully paid!!!! Cons: Don't give away rooms that have been paid in full. Booked through Travelocity about 1 month before our trip. Paid in full prior to arriving. Arrived in Miami after a full day of travel at 11pm with our 2 kids. Hotel is undergoing renovations, and at first glance looked closed. Found the front door and sent hubby to check in. He comes out after about 15 min and tells me they gave our room away because they "overbooked" and we were the last ones to check in. The hotel staff was helpful and after an hour of us sitting in the lobby listening to loud, gangster rap, and getting super crabby, they found us a room at another hotel about 5 miles away (Hampton Inn- Midtown). During this time, I ventured down the hall to find a bathroom. There was a sandwich board in the hallway that said, "Pool, business center and restrooms" with an arrow that led to a regular room that had been converted to the "business center" (one computer and printer) which you could walk through to get to the pool. The bathroom was flooded and there was a sign on the bathroom door that said, "THIS MACHINE OUT OF ORDER." Eventually, the charges on my credit card were reversed, but then they had to charge it again to pay for the other hotel room. At least that room was cheaper by about $50. The Hampton-Inn Midtown was VERY nice, beautifully decorated, hip, great full breakfast, etc. I'd say stay there instead! Dear Guest, I apologize for the experience that you had with us and rest assured that this is not normal by any means here at Hotel Urbano. I hope that the next time you are in town, you consider to give us another chance when we convert to a new Hilton Garden Inn! I don't wear make up! Dear Guest, I would like to apologize for any inconvenience you experienced during your stay in our hotel. Rest assured that your concerns were addressed and we are working to make sure it does not happen again. Me and my boyfriend stayed here Sunday-Wednesday. This was a nice hotel with a great location! It was about 10-15 minutes away from South Beach ($6 dollar in uber), 6 minutes from Bayside Mall. The hotel had a beautiful pool in the back nice and relaxing. One con I had was in the bathroom there was a bug but I called down to the front desk and they moved us to a new room immediately . Overall I would recommend this to someone else definitely! Great location! Staff very helpful and friendly! Dear Guest, I would like to thank you for staying at the hotel Urbano. Your feedback is very important to us. We are glad that you enjoyed your stay and we hope to see you again soon. every employee went out of their way to help us. Not being fluent in Spanish we had to depend on the staff to recommend and order local Cuban food. The Housekeeping staff were always friendly and attentive to our needs. Morning breakfast was always fresh and on time. Front desk personnel were always interested in any questions or problems we might experience. Our car was always brought to the door in a quick and professional manner with a smile. It was so pleasant to be greeted each day with a smile. I strongly recommend give this fine hotel a try. Dear Guest, Is always a pleasure to see that our guests are having a good experience in the Hotel Urbano, this is the result of a group of dedicated employees who work hard every day to make your stay a good experience. We look forward to seeing you again soon. Pros: The room was beautiful and the bed comfy. Cons: The clerk needs to be more customer oriented. The staff needs to be more knowledgeable about area , and be able to suggest where to get meals. Location: Closest food/drinks were 1 mile away, bus service and trolley service will take you to shopping and entertainment, but only if you know where to go. we arrived from cruse via cab by 9am, check in was for 3pm. Hotel clerk James told us he was booked up and no room available at that time so we could go "where ever" and return between 1 and 2 to see if room ready. We were not offered a chance to store luggage or suggestions of where to go, unable to find anyone with information on directions. Very hot and humid outside.We finally asked if we could store luggage an were able to do that. We walked in wrong direction for 1 mile and back then finally got directions on our phone for a market and restaurant in 1 mile opposite direction. We finally got room about 230 after other guests had received their rooms. No vending machines or fluids available in hotel. We ordered pizza for dinner as no food was available near hotel. Next time we will find hotel closer to civilization with vending machines available to at least get bottled water. Hopefully the next clerk will be more accommodating and less rude then we were subjected to. Dear Guest, I would like to apologize for any inconvenience you experienced during you stay in our Hotel. I hope you can give another opportunity to show that we can provide the excellent service that our guests deserve. This 3.5 star hotel with prices of 4/4.5 star hotels. (At the time I rented the rooms.) Since it was not very crowded I did enjoyed using the fitness center and the pool. The free breakfast and the art on the walls were nice additions. Thank you for sharing your comments about the Hotel Urbano. Your comments are very important to us. Once again thank you for choosing Hotel Urbano for your accommodations. Hilton Garden Inn Miami Brickell South offers its guests an outdoor pool and a fitness center. A computer station is on site, and both WiFi and wired Internet are available in public spaces for a fee. There's an onsite business center. 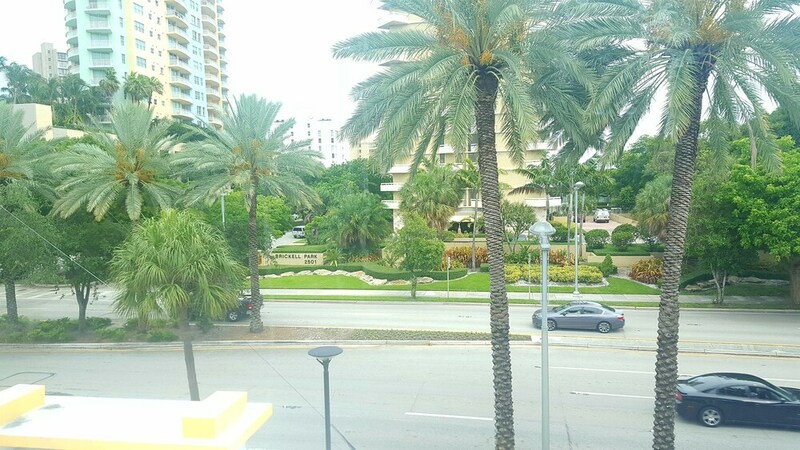 Tour/ticket assistance, multilingual staff, and coffee/tea in a common area are also featured at the business-friendly Hilton Garden Inn Miami Brickell South. For a fee, parking is available. A complete renovation of Hilton Garden Inn Miami Brickell South was completed in 2018. This 3.5-star Miami hotel is smoke free. Hilton Garden Inn Miami Brickell South offers 129 air-conditioned accommodations with iPod docking stations and complimentary newspapers. Beds feature premium bedding. 37-inch plasma televisions come with pay movies. Refrigerators and microwaves are provided. Bathrooms include showers, bathrobes, and complimentary toiletries. This Miami hotel provides complimentary wired and wireless Internet access. Business-friendly amenities include phones along with free local calls (restrictions may apply). Housekeeping is offered daily and in-room massages can be requested. For a fee, guests can enjoy continental breakfast daily from 6:30 AM to 9:30 AM. Hilton Garden Inn Miami Brickell South offers transfers from the cruise terminal (fees may apply). Please contact the property at the number on the booking confirmation 24 hours prior to arrival with your arrival details.